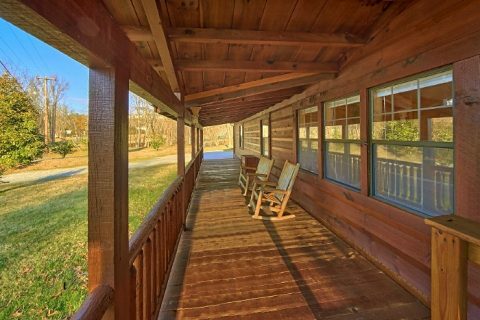 Come stay at this Downtown Pigeon Forge Cabin, which offers guests plenty of cabin features and a convenient location behind the iconic Old Mill of the Parkway. 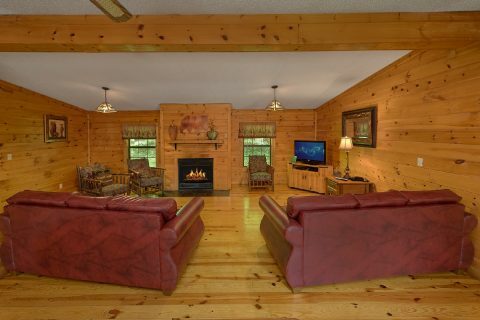 Formerly known as "Big Bears Den," "Laceys Lodge" is a log cabin with great amenities for your vacation! 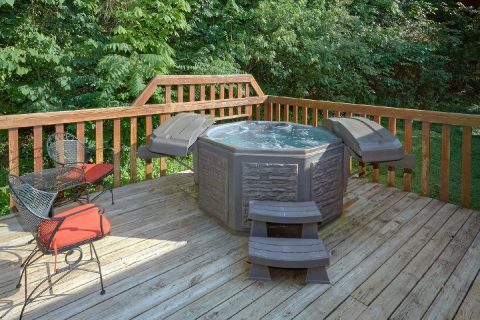 With a hot tub, game room, fireplace, and more, you'll have everything you need for a comfortable cabin stay. 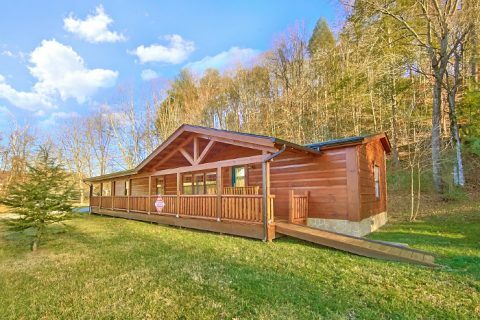 With its convenient location to all the tops attractions of the greater Pigeon Forge area and a cabin interior with plenty of amenities, you'll be creating lasting family memories in the hills of Tennessee in no time! 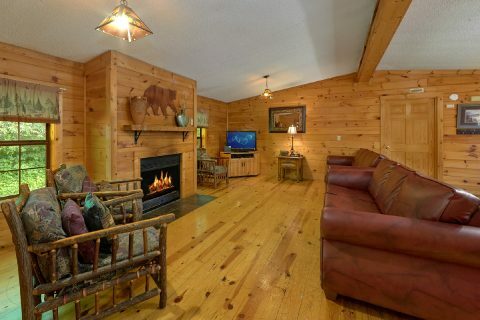 From entertaining dinner shows to unforgettable shopping and restaurants, your Downtown Pigeon Forge cabin's location allows you to enjoy all you'll want to see and do in the Smokies. While your cabin's location is a great feature, there's more than enough to when you return to "Lacey's Lodge!" 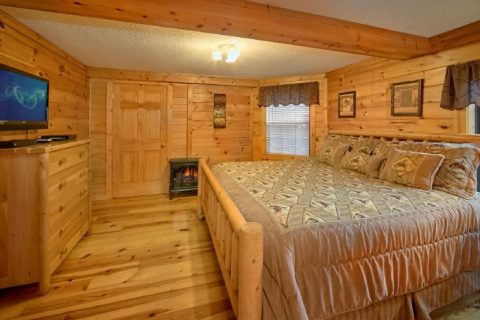 This 3 bedroom cabin that sleeps 10 offers 1 king bed, 2 queen beds, and a sleeper sofa. With so many sleeping accommodations, the whole family can enjoy a peaceful night's sleep in the mountains. 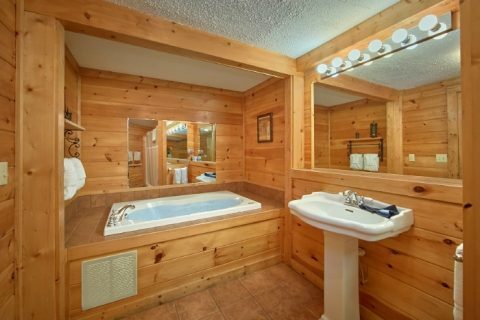 Your master suite features a jacuzzi tub for even more relaxation! 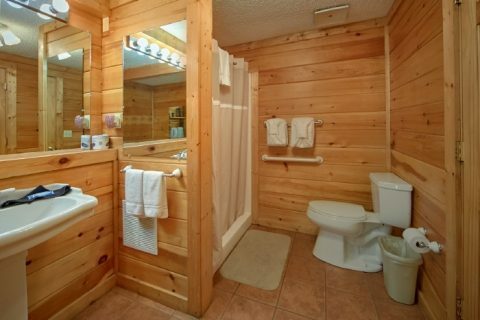 In the morning, your cabin's 2 full bathrooms offer plenty of space to get ready the day's unforgettable adventures in Pigeon Forge and Gatlinburg. 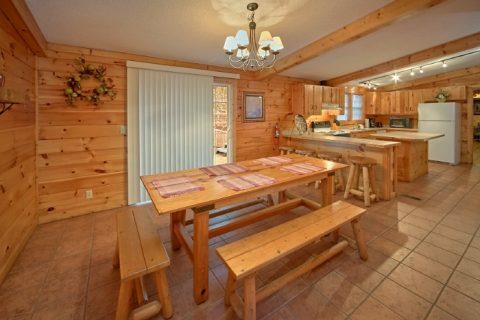 In addition to the basics, there are more than enough features to keep you and your family entertained at this Smoky Mountain family cabin. The comfortable living room offers the perfect place to enjoy your family's company. 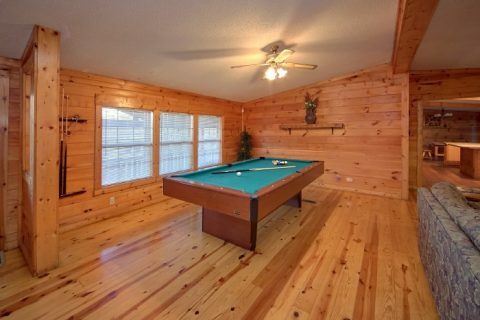 In the game room, enjoy family competition when your play a few rounds at the pool table. 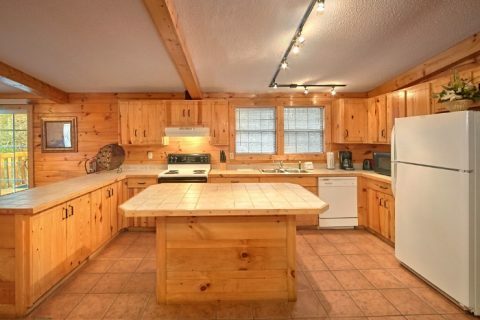 Enjoy even more time together when you cook great meals in the spacious kitchen and enjoy them at your custom log dining table or breakfast bar. This secluded Pigeon Forge cabin offers several ways to enjoy the mountain air and wooded mountain views from its deck, including soaking in the hot tub. 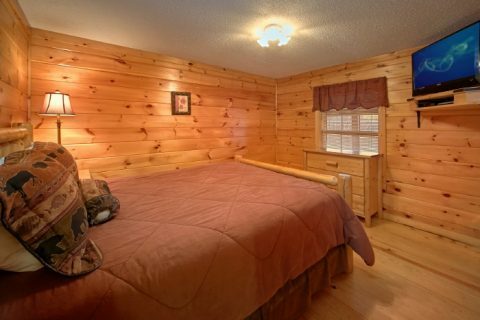 When you choose "Lacey's Lodge" or another downtown Pigeon Forge cabin with Cabins USA, you'll receive a 15% discount on your online reservation. Stop dreaming and start planning the best family vacation in the mountains yet!